Home is where a person build dreams and make memories for a lifetime. There comes a time in every person’s life when a dream house is what one saves money for and a key milestone that makes you chase it. With cities growing day by day and crowd creeping in slowly; people often find it difficult to accept a rented home as their own. For working professionals there is only one thing that provide respite from the hustle and bustle of the city is when they reach their home and take a sound sleep under their own roof. It is that relaxing moment one lives for and create wonderful memories around to cherish later in life. Now, the main question arises here is why it’s so hard these days to own a house in a well located area in the city? There is no specific answer to this question as the real estate market has no set standard in terms of value and trust. Trust is something that builds the reputation and keeps your faith alive. 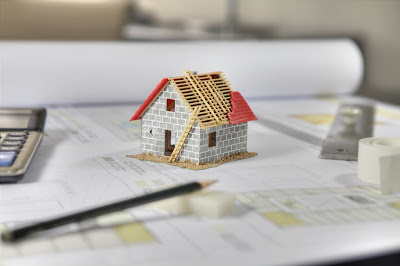 Buying a home is one of the toughest and most important decisions of life that a person takes. Being a working professional myself, I always look for options that gives me belief and shouldn’t impact much on pocket. In India, when it comes to ‘Trust’ there is one brand that is the most trusted in all sectors i.e. Tata. A Tata product comes with a standard and trust value that people often relate to easily. And what’s better when TATA offers something for those who want to build their home around a trusted brand. When I heard of TATA Value Homes, the first thought that struck my mind was that it must be something really impressive as we don’t associate TATA with anything fishy. Also, the offerings adds up to customer satisfaction and a win-win situation for everyone. TATA Value Homes is offering unique options to customers with impressive budget friendly deals. All necessary and highly advanced amenities at jaw dropping prices is also a reason that makes it a really good option for genuine customers. People who really want to invest in or buy a house to fulfill their distant dream, this is surely one of the best and affordable offers to consider. Apart from its customer friendly options there is a unique ’99 Homes Festival’ which TATA is offering for a limited period. 99% Funding. And all this comes with great discounts; up to 19 Lakhs* (yes you heard it right) that vary from projects to projects across India. The period to avail this exciting offer i.e. #TATA99HomesFestival is until 1st, November. Bookings will begin from 2nd, November. TATA Value Homes is not only changing the landscape in the real estate sector but also changing lives of people by giving them the opportunity to buy a dream home for themselves. For a working professional like me, TATA not only gives a satisfaction but also assures that your dream is safe with them. This festival is a boon for aspiring home-buyers. The trust of the TATA brand alongwith these brilliant spot offers makes it an irresistable offer. 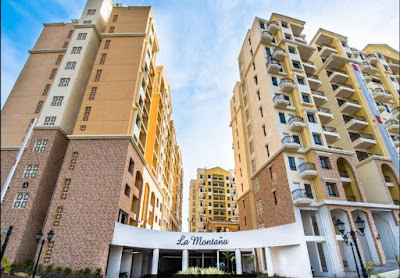 The Montana project looks really appealing, I am considering it for my second home in Pune! It really is win win situation for everyone. Tata being one of the most trusted brand will bring revolution in the real estate market with this offer. With this offer TATA is helping many hopefuls to move into their own homes. Great initiative! Wow, Saumy, La Montana looks so beautiful!! Tata is such a trusted brand. I am glad they are coming up with such beautiful properties at affordable price! Trust is the most important factor when you make a big investment lile buying a home. You cant predict things in real estate market so credibility plays a huge role. TATA have really come up with a well thought initiative like #TATA99HomesFestival. It would help a lot of us for sure. Buying a home is a dream for many in a city like Mumbai and TATA's festival offer is surely a boon for those looking for a place to call as their home. This looks like a great offer.Tata homes are one of the best and it is a trusted name in India for home buyers.